Monitor your home remotely with the 360° Indoor Camera and Eyes Outdoor Camera. Get a notification whenever motion is detected, watch a live feed and more- providing the perfect networked security solution. Network your heating system with the Radiator Thermostat so that you are only heating the rooms that need to be heated. What's more, the Door/Window Contact communicates with the Smart Home Controller to turn the heating down when doors or windows are opened allowing you to live comfortably at home without wasting energy. The Bosch Smart Home App now comes with a Scenario Manager to ease your daily routine. You can collate your Smart Home devices into scenarios and let your Smart Home Controller do all the hard work for you. Choose between pre-set scenarios or make your own to make your day that little bit easier. Leave home with an easy mind. Whether you are going on holiday, a business trip or a simple an evening with friends, the Bosch Smart Home System has you covered. With Presence Simulation, you can make it look like you are at home, even when you're away by networking your lights, plugs and appliances to mimic you being at home. Set up, control and monitor your Smart Home with the straightforward, user-friendly Bosch Smart Home App. Your Smart Home System at your fingertips. Bosch Smart Home products allow you to automatically and remotely control the processes in your home. Each device has a unique purpose in your Smart Home and provides ease and convenience to your changing daily routines. Why do I need this? Because it means you can have more time to enjoy what matters to you. Whether you want to network your heating system or secure the safety of your home, the Bosch Smart Home System offers you complete and personalised solutions to yours and your homes needs. And it is all controlled by one handy app so you can control your home, wherever you are. An independent IT security test provider, AV-TEST, put the Bosch Smart Home System through its paces. Test result: "Secure", "Certified Smart Home Product". Our 360°-Indoor Camera, the Eyes-Outdoor Camera and the Twinguard have been awarded with the Red Dot Design Award 2017. Our 360°-Indoor Camera and the Twinguard have been awarded with the IF Design Award 2017. Les Numériques – one of he most renowned test institutes in France – has rated the Bosch Smart Home 360°-Indoor Camera with 5 stars. The Eyes-Outdoor Camera has been awarded for its innovative design with the German Design Award 2018. 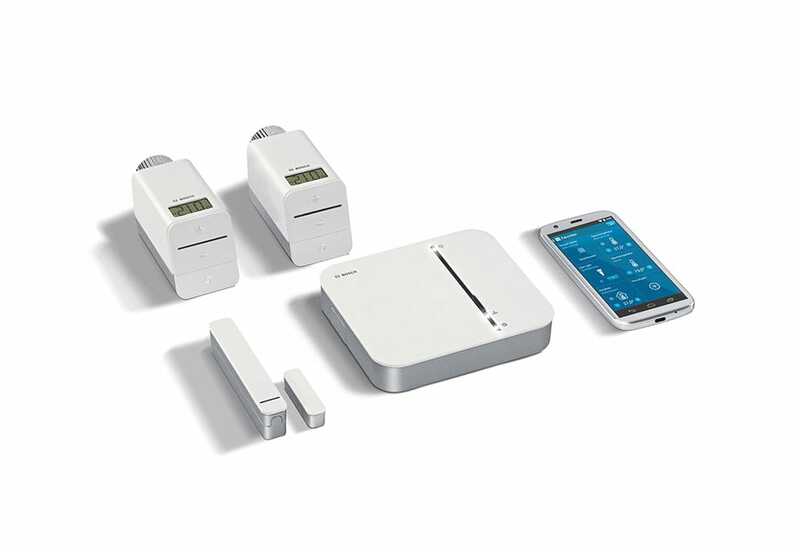 The Bosch Smart Home Starter Kits are the perfect way to start your Smart Home journey. 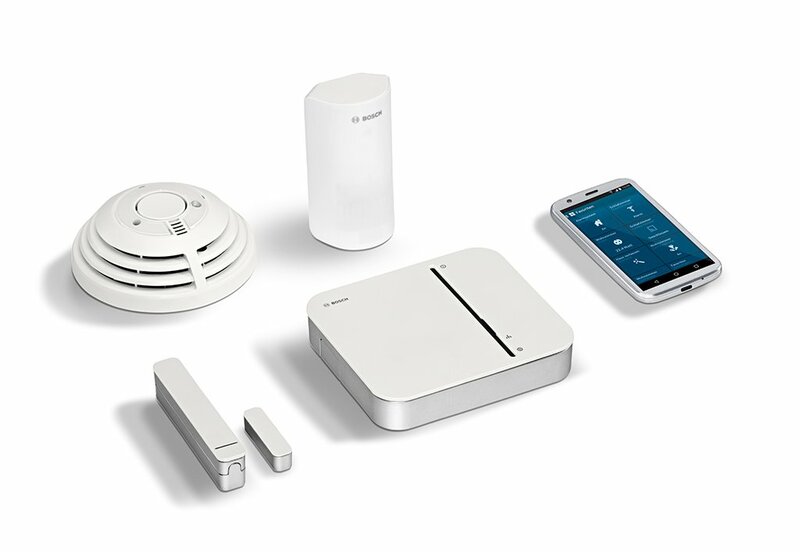 Designed with your comfort, peace of mind and security at their forefront, each Starter Kit is tied together with the heart of your Smart Home System- the Bosch Smart Home Controller. 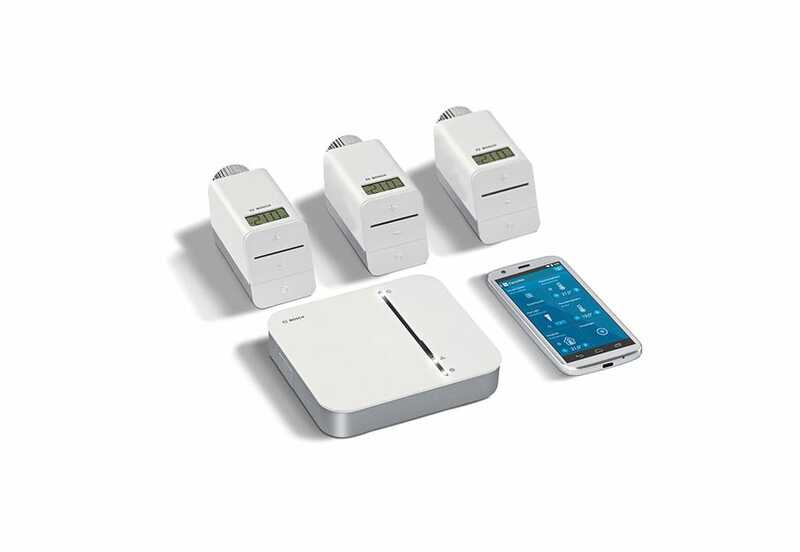 The Indoor Climate Starter Pack from Bosch Smart Home allows you to enjoy a feel-good climate at home at all times. The intelligent, convenient Smart Home heating control from Bosch provides a pleasant climate at home around the clock. With the Safety Starter Pack, your home enjoys optimum around-the-clock protection against fire and uninvited guests. Bosch Smart Home Solutions make your life easier. Thanks to automatic communication between devices, you don't have to lift a finger- but you will always be in control. Designed with security at the forefront so that you can protect what you hold dear- your home and your family. Our security solutions provide protection among other useful functions- and they look good too. There's no need to waste energy with Bosch Smart Home. Save valuable energy by smartly linking the appliances in your home as well as networking your heating to be in control of your energy bills. Your data is important which is why your it is encrypted end to end when it is transferred between your devices and the Controller. And that is where it stays. Find out how Phillips Hue and Amazon Alexa can add even more convenience to your Bosch Smart Home System.